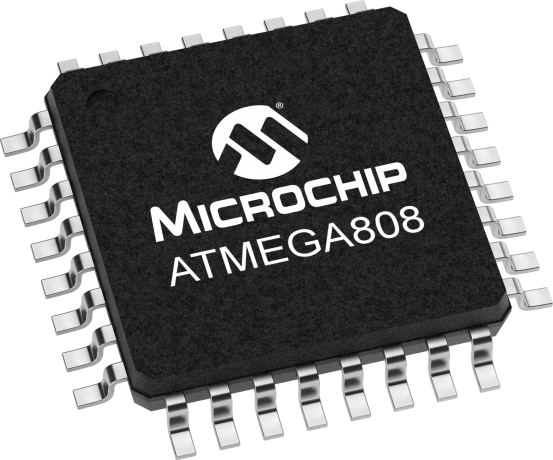 The ATmega808 is a microcontroller featuring the 8-bit AVR® processor with hardware multiplier - running at up to 20MHz and with up to 8 KB Flash, 1 KB SRAM and 256 bytes of EEPROM in 28- and 32-pin packages. The series uses the latest Core Independent Peripherals with low power features. Including Event System, intelligent analog and advanced peripherals. The ATmega4809 Xplained Pro evaluation kit is a hardware platform for evaluating the ATmega4809 AVR® microcontroller (MCU). Supported by the integrated development platform Atmel Studio, the kit provides easy access to the features of the ATmega4809 to fully understand how to integrate the device into a custom design. Take your next idea to market with a development board that you can keep in your pocket. With full program and debug capabilities, the ATMega4809 Curiosity Nano Evaluation Kit offers complete support for your next design.